AMD’s entire Ryzen 9 Threadripper CPU lineup has been leaked, featuring 16, 14, 12 and 10 core parts with clock speeds of up to 4.1GHz. The company’s brand new enthusiast CPU lineup is set to launch this June and bring the company’s outstanding Zen architecture to the high-end desktop. There are again two 14 core parts, the Ryzen 9 1977X is a 155W 14 core, 28 thread part with a base clock speed of 3.5GHz and a boost clock speed of 4.1GHz with XFR. 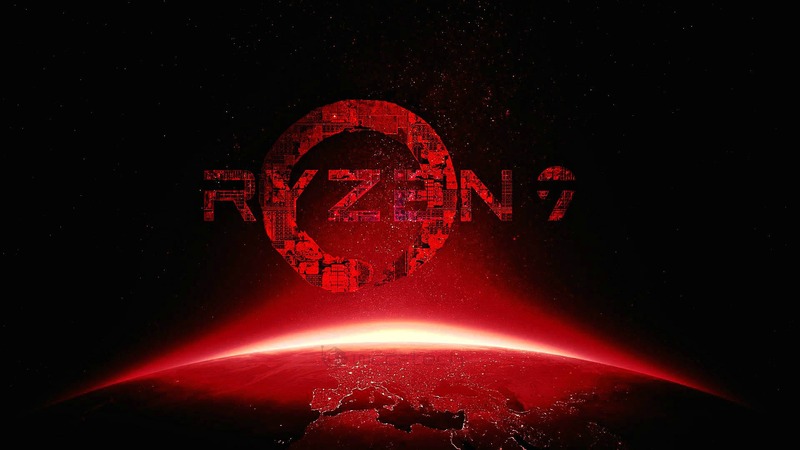 The Ryzen 9 1977 features a base clock speed of 3.2GHz, a boost clock speed of 3.7GHz and a slightly lower TDP of 140W. 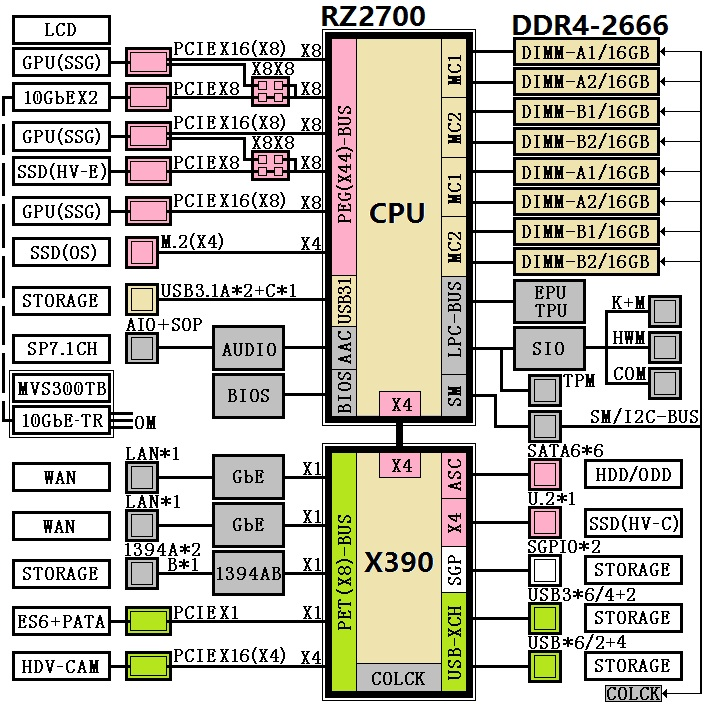 The 12 core Threadripper Ryzen 9 lineup allegedly consists of three SKUs. The Ryzen 9 1976X is a 12 core, 24 thread 140W part with a base clock speed of 3.6GHz and a boost clock speed of 4.1GHz with XFR. The Ryzen 9 1956X is a 125W part, again with 12 cores & 24 threads. 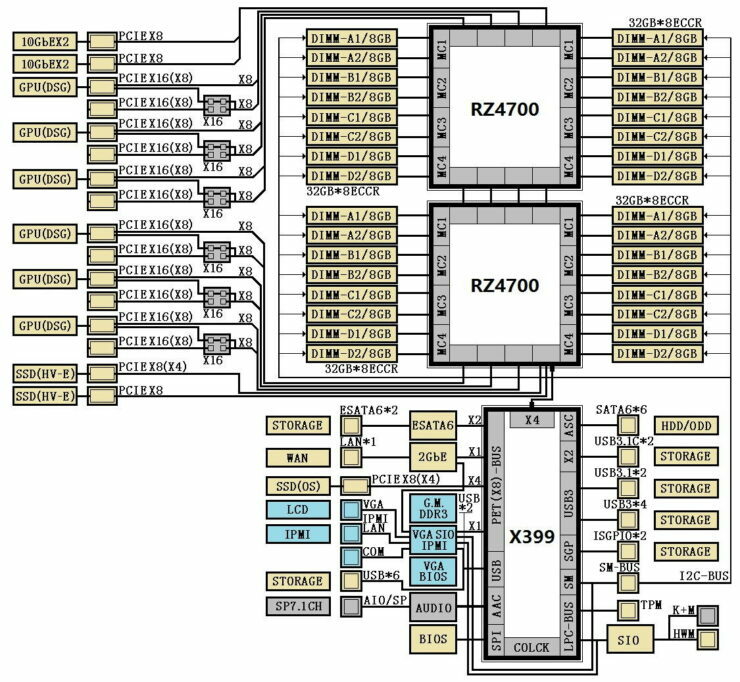 It runs at a base clock speed of 3.2GHz and a boost clock speed of 3.8GHz with XFR. The entry level 12 core part is the 1956, it’s rated at 125W and runs at a base clock speed of 3.0GHz and a boost clock speed of 3.7GHz. 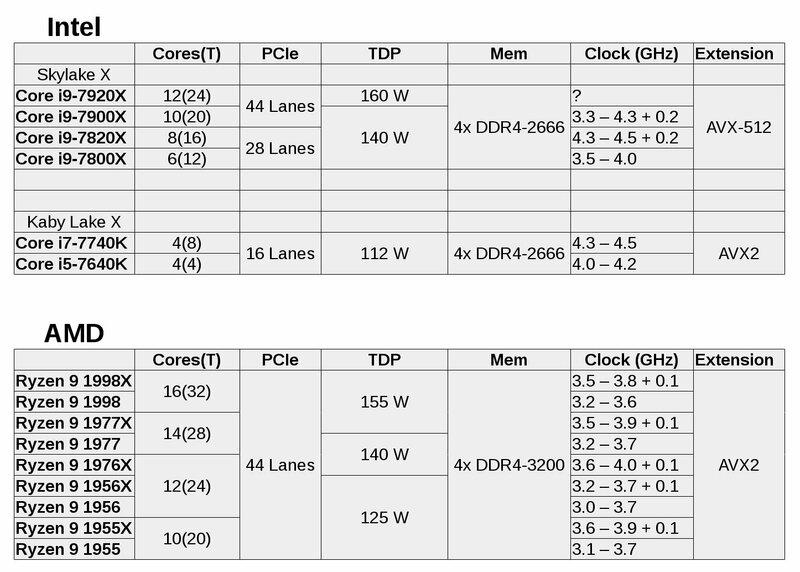 We also allegedly have two 10 core parts, both rated at 125W. The Ryzen 9 1955X runs at a base clock speed of 3.6GHz boosts to 4.0GHz with XFR. The Ryzen 9 1955 runs at a base clock speed of 3.1GHz and a boost clock speed of 3.7GHz. The Whitehaven platform will compete directly with Intel’s upcoming HEDT X299 platform and Skylake X CPUs. The upcoming family of Ryzen 9 enthusiast Threadripper CPUs are considerably larger than the current Ryzen lineup which is why they will not be compatible with AM4. With up to 16 cores and 32 threads Ryzen 9 chips stand to be the most powerful desktop CPUs we’ve ever seen introduced in the desktop market. The whitehaven platform offers more I/O, storage, significantly more cores, threads and L3 Cache compared to Intel’s upcoming X299 high-end desktop platform as well as the current mainstream X370 and Z370 platforms. Ryzen has established AMD’s Zen architecture as the most power efficient x86 micro architecture to date in the mainstream. Extending that power efficiency lead to the enthusiast and prosumer ends of the market with Threadripper and Whitehaven puts AMD in a very strong competitive position. With a 16 core part in the high-end desktop the Zen architecture is well on its way to displacing Intel’s Extreme edition processors from the performance throne that they’ve long held on to. Threadripper may be the first CPU family from AMD to win the ultimate performance crown since the aptly named “Hammer” architecture & Athlon 64 parts hammered Intel’s Extreme Editions nearly 14 years ago. Things are getting really interesting in the CPU market for the first time in a very long while.